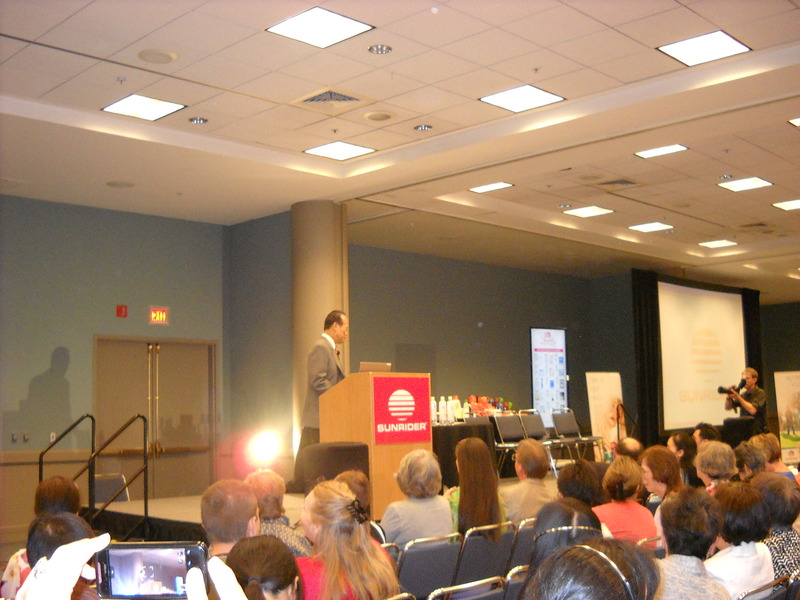 Sunrider Convention Archives - Sunrider More Energy, Laser-Beam Thinking, Vibrant Health! 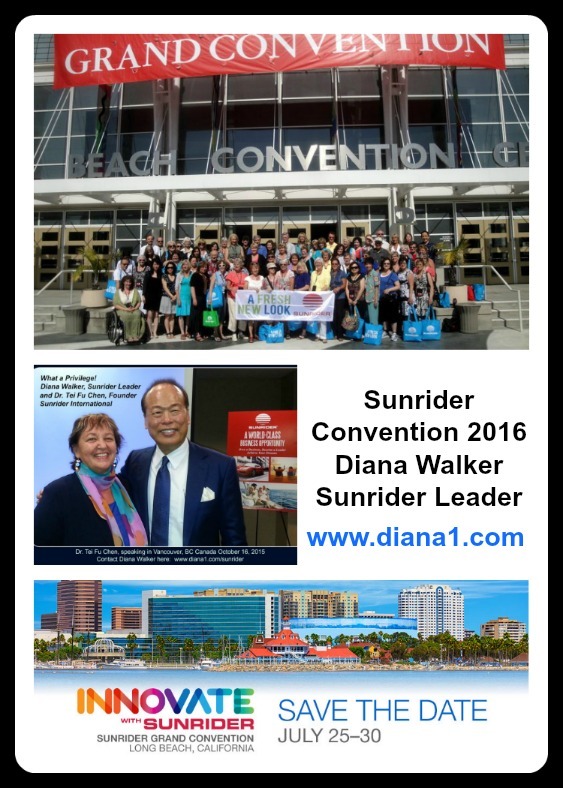 Sunrider Convention 2016 Diana Walker celebrates 20 Years as a Sunrider Business Leader in November 2016! 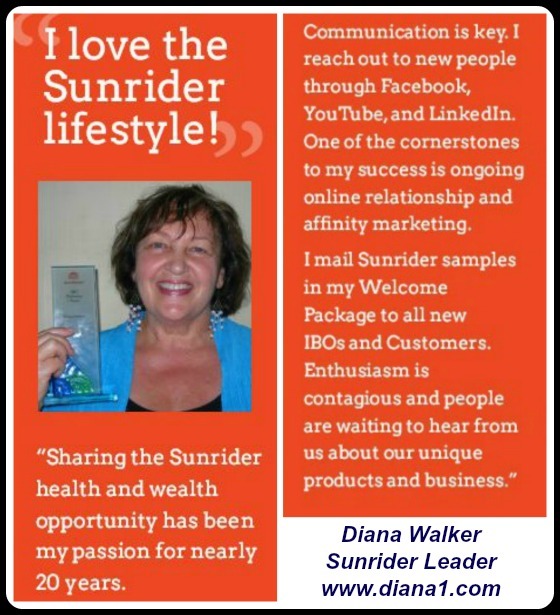 I tasted my first NuPlus and my first Fortune Delight in 1996, and the Sunrider business and Sunrider products have been life-transforming for me. 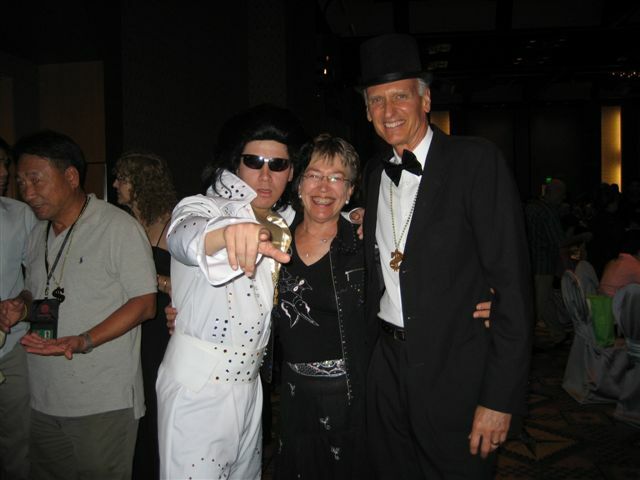 I will always be SO grateful to my friend and Sunrider sponsor Trudy Stoelting. 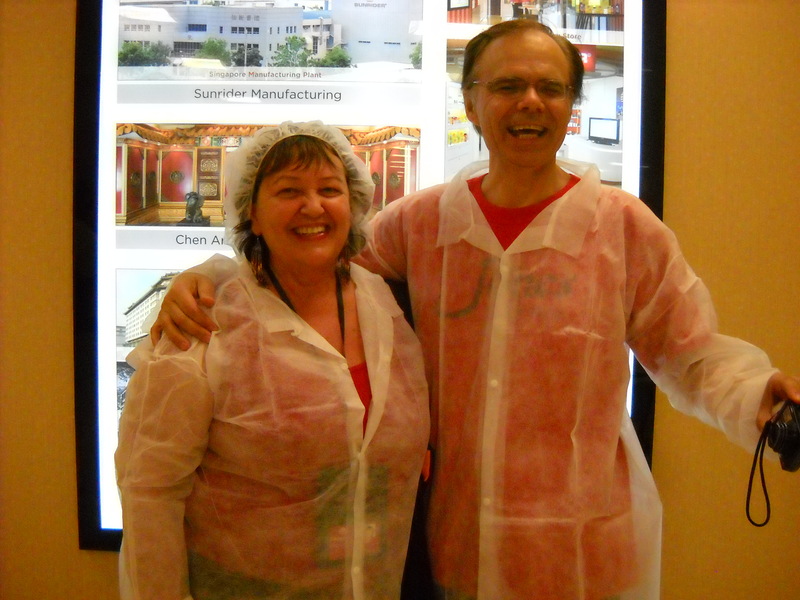 One of our favourite highlights of Sunrider Convention is the Tour of the Manufacturing Facilities. 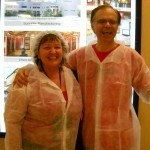 You will see that we all dress as though we are going into an operating room. The environment is meticulously clean, and the tour is fascinating. 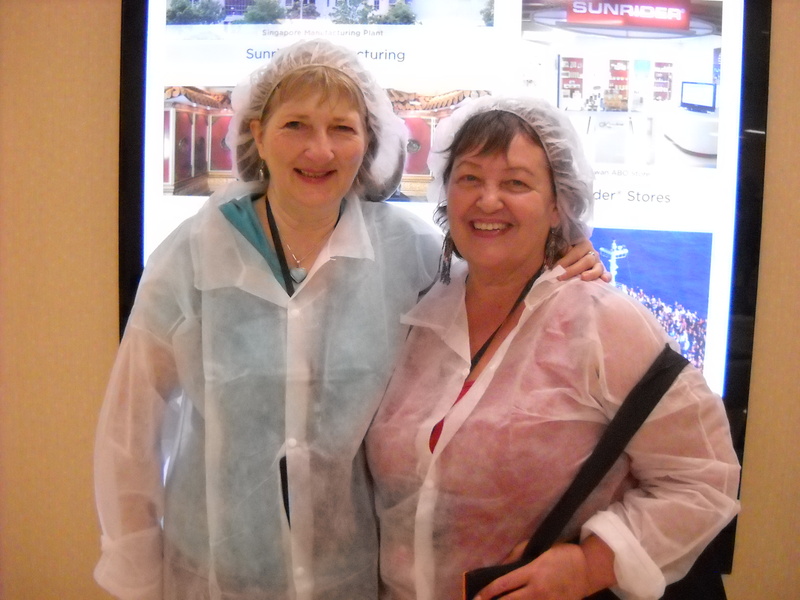 We can smell the wonderful herbs as we take the guided tour, and we see the giant juicers. 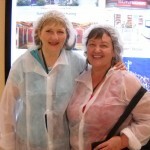 The tour takes hours, the facilities are so gigantic! 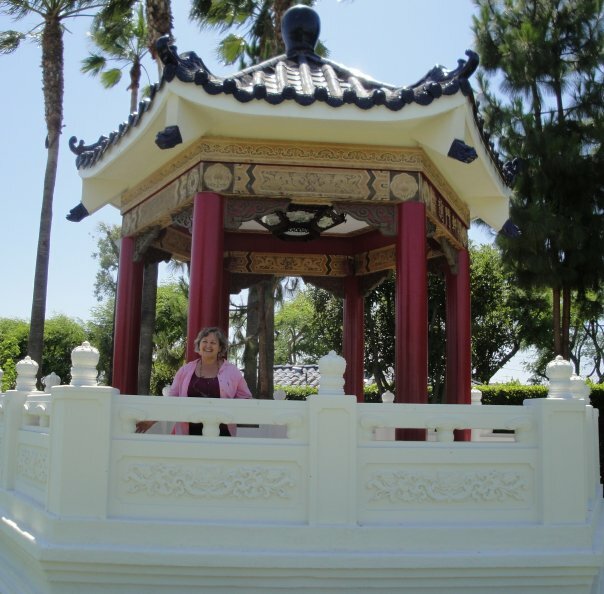 Diana Walker mails out Free Samples of Fortune Delight for all new Customers. 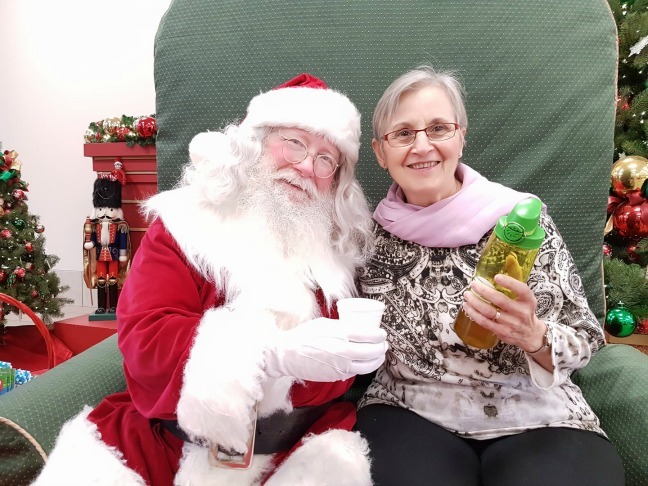 Choices of Flavors: Peach, Lemon, Cinnamon, Raspberry or Regular – Contact Diana Walker!! 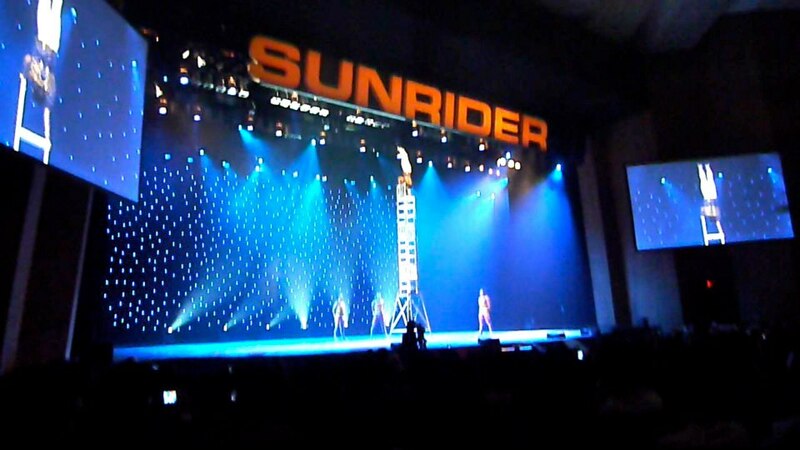 This is an exciting time in Sunrider’s history. 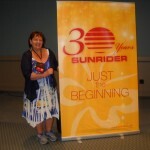 I have my Flight booked, Convention ticket purchased, and I’m looking forward to seeing Sunriders from all over the world once again, at this celebration. 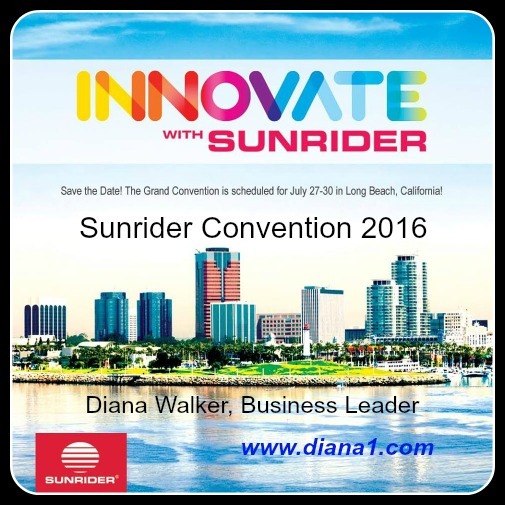 The theme for Sunrider Convention 2016 is “Innovate with Sunrider”. 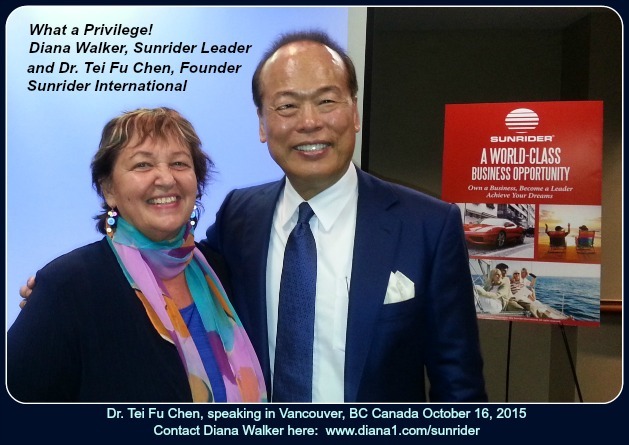 Dr. Reuben Chen and Dr. Tei Fu Chen were again in Vancouver, BC, Canada April 30, 2016. 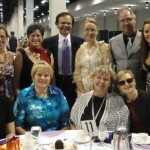 This was arranged by Sunrider Canada, and I was honoured to be involved. 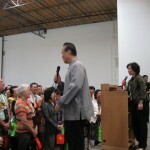 Invited in the afternoon to a fairly private meeting, plus dinner, then the public meeting. 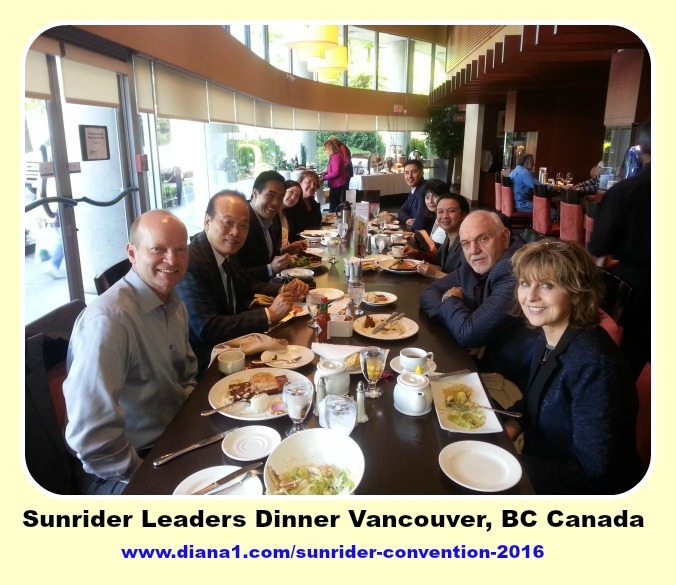 Dinner photo with Dr. Tei Fu Chen and Dr. Reuben Chen and Craig Holiday, along with other Sunrider Canada Leaders, below. 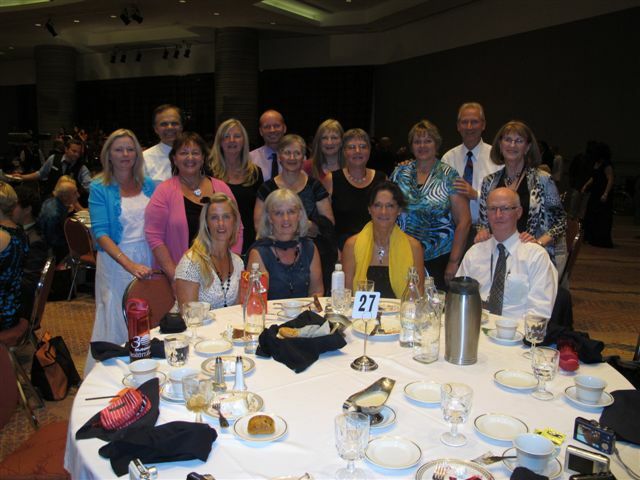 (Diana Walker Note – I’m on left at the end of the table). 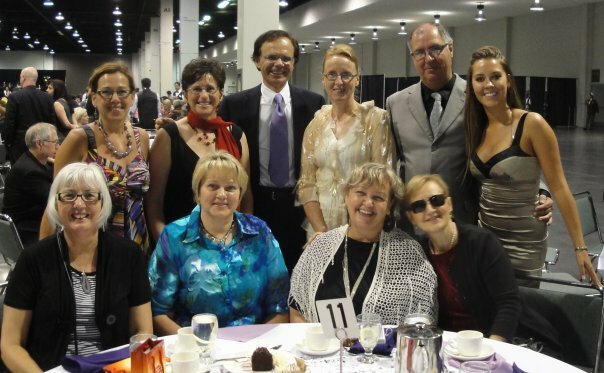 Jim Pendree is at the front left, and Sheryl Fitzharris is front right in the photo. 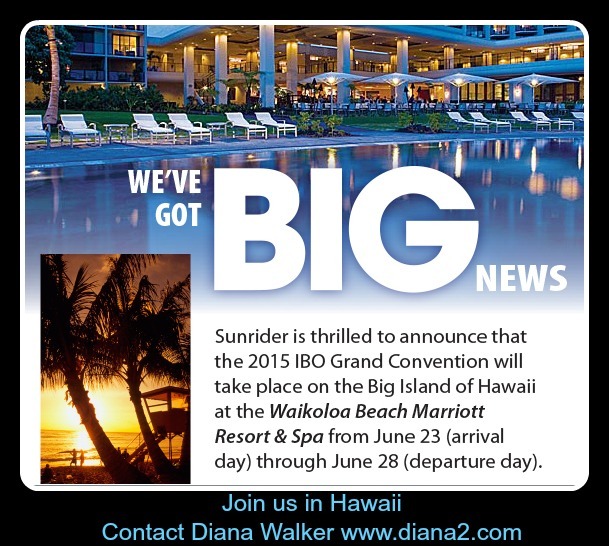 Sunrider Convention 2015 will be held on the Big Island of Hawaii – YAY! I love Hawaii! 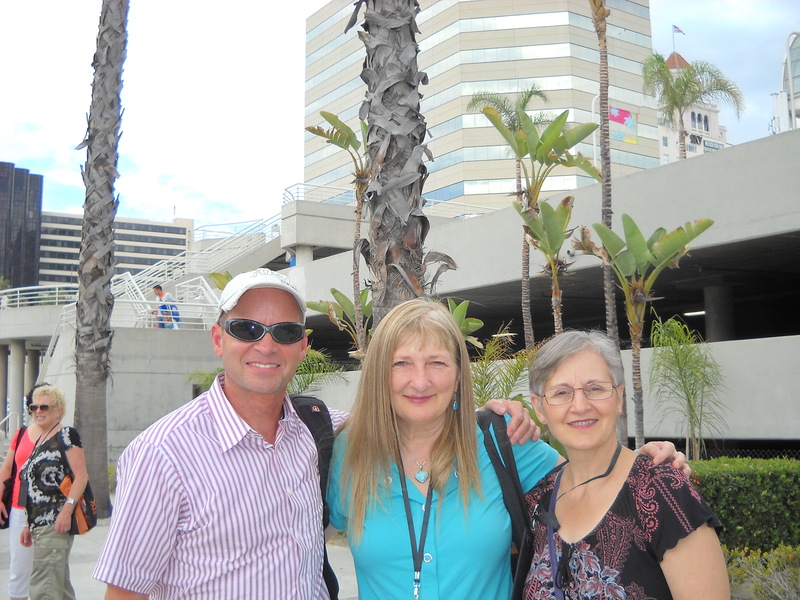 What a wonderful opportunity to reunite with friends and other Sunrider Customers and Leaders for almost a week. The dates are June 23 to June 28, 2015. 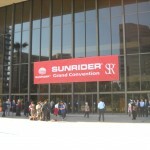 “I have had so many requests asking me if I knew where Sunrider will be having their next convention. Well, now we have the good news. the Big Island of Hawaii, at Waikoloa Marriott. That is really an exciting place. 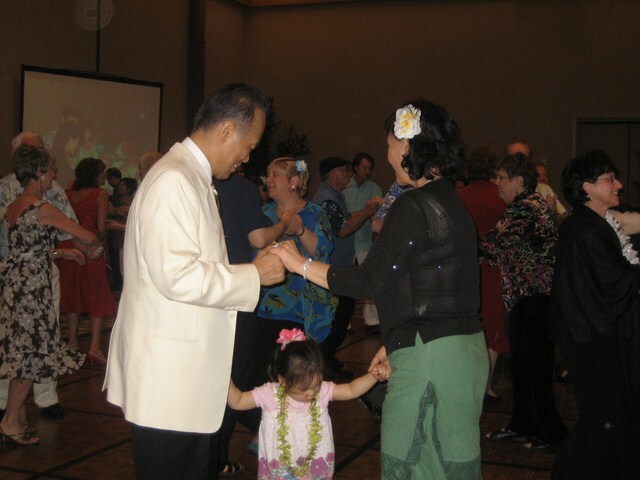 We have had at least two other Sunrider Conventions in Waikoloa, but I think we were at the Hilton. No matter what, it is heaven to go there. So mark your calendar, and make sure you start planning on joining us there. 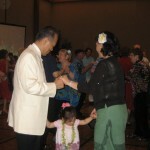 I am ready for Hawaii again. I can never go there often enough. 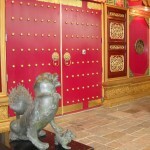 It is such a wonderful place. If you have been there before, you know what I mean. 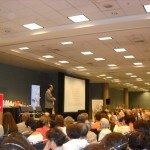 If you have not been there before, now is the time to plan and make it happen for you. I am so excited, and will be dreaming about being there. But it is more fun if you are with us. 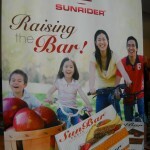 The more Sunriders that attend, the more fun it is and the better it will be. We can all be together in heaven for a few days. Shelly was talking about taking her whole family, and going to the east side of the Island and visiting Volcano park and other places. There is always so much exploring to do there. Please do everything you can to join us. Now is a good time to book your flight, as the rates are lower now than when it becomes closer to the event. Save those frequent flyer points, and maybe you can fly free or at least at a discount. 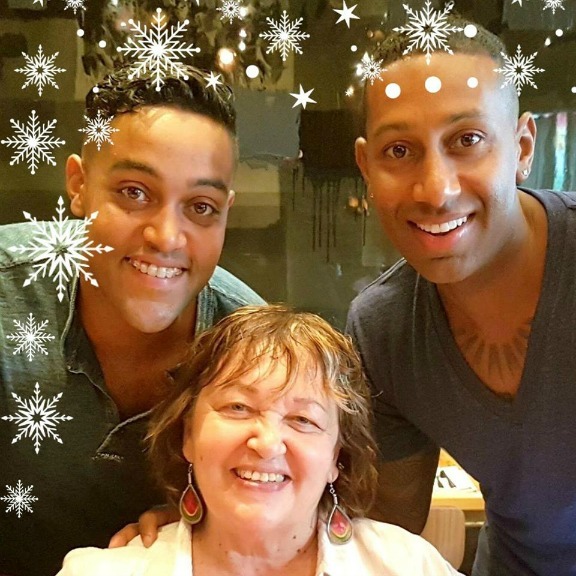 We are so excited with this news. Spread the word. 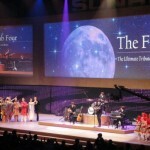 What a privilege to participate in Sunrider’s 30th Grand Convention. 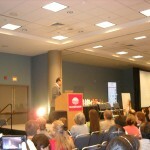 This was held in Long Beach, California, USA. 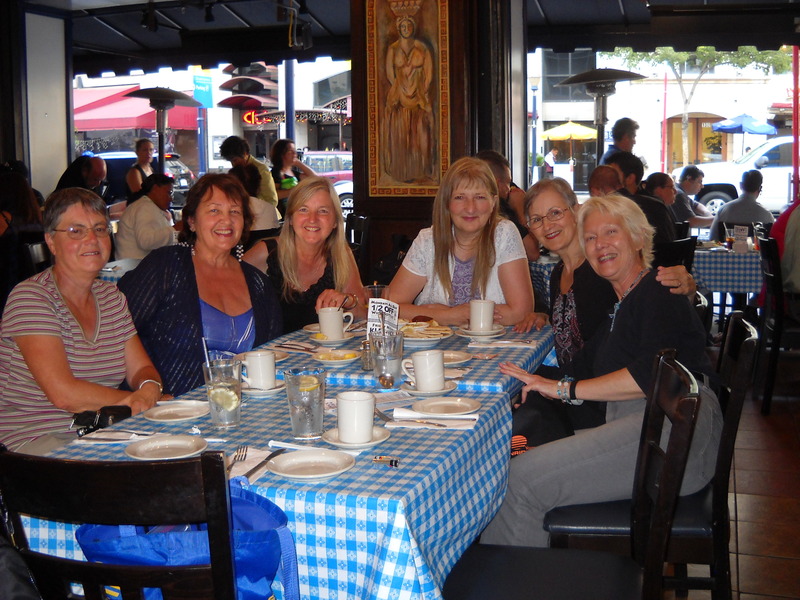 I flew from Canada on August 15th to join the fun and celebrations. 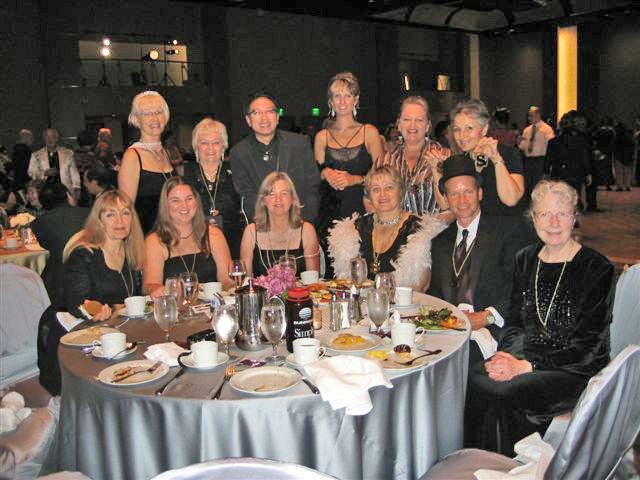 We all drank lots of Sunrider Fortune Delight and Sunrider Calli Tea of course. 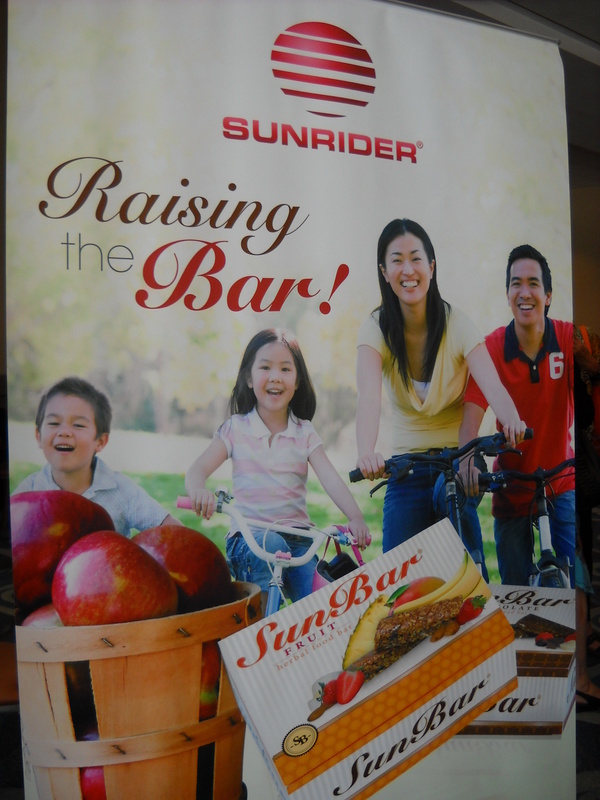 I purchased the new Sunrider Sunbars in Oatmeal Raisin – they are delicious and I certainly hope we can have them available in Canada soon. 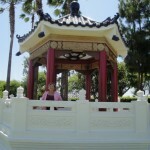 These are photos I took (Diana Walker) August 15th to 20th at Sunrider Grand Convention, Long Beach, California. Sunrider SunTrim is now called SunTrim Plus. 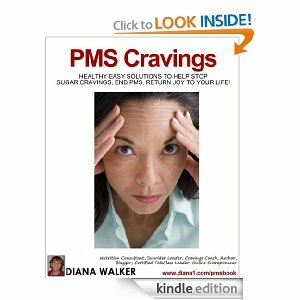 It helps (1) keep you from overeating, as you feel full and (2) helps with belly fat – targets stored fat and weight around the middle of your body. Junky food tastes junky. 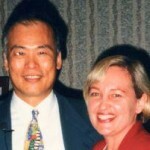 Dr. Tei Fu Chen has designed this new formula to assist in weight management. Kandesn Body Care, Skin Care and Makeup – is all vegetable based. 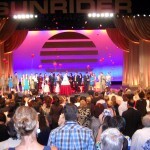 Much research and development is being done by Sunrider to develop even more anti-aging products. 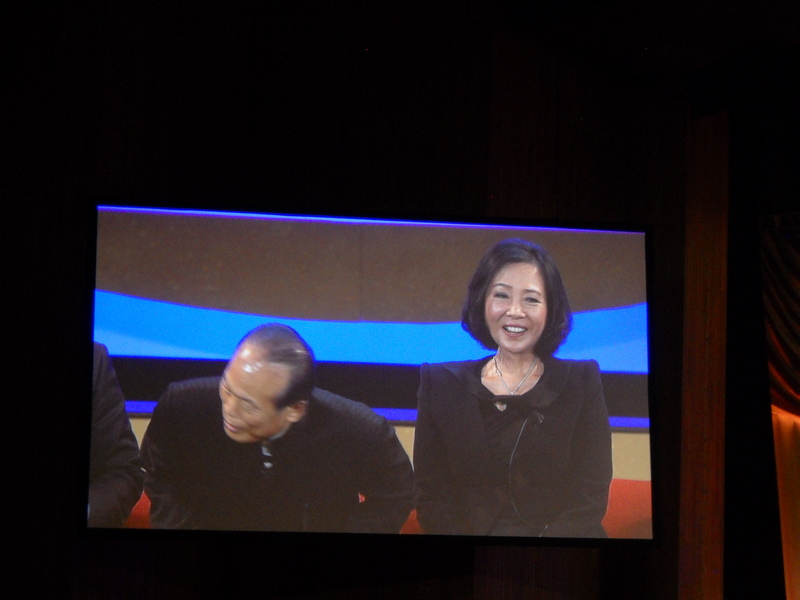 Don Caster interviewed the Chens and the children – Dr. Reuben Chen, Wendy Chen, Sunny Chen, Dr. Eric Chen and Jonathan Chen. 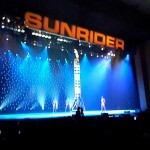 Each of them are taking a role in the success of Sunrider International. The Chens think in generations. 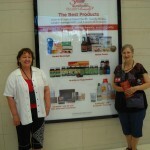 They want to pass on these fantastic products into the future. 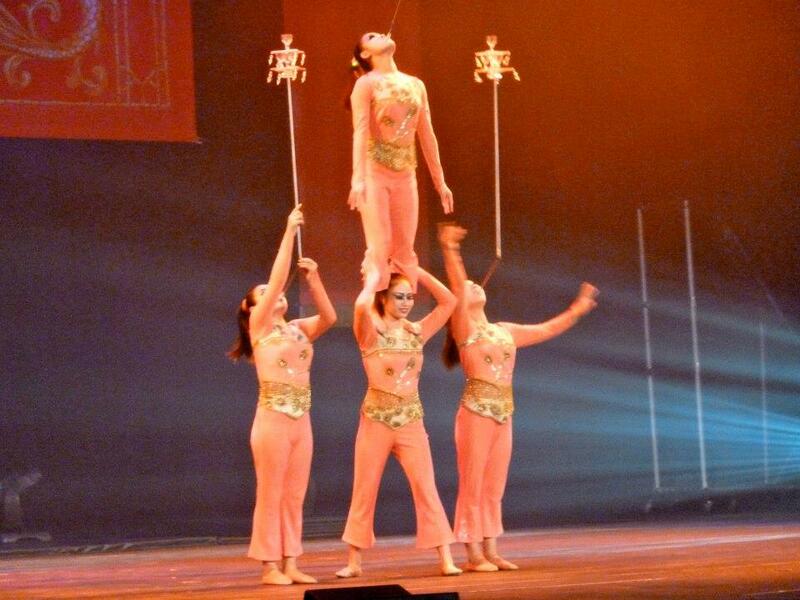 The Chen children represent the next generation. 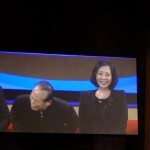 It is wonderful to see the love and respect the Chen children have for their parents, Dr Tei Fu Chen and Dr Oil Lin Chen. 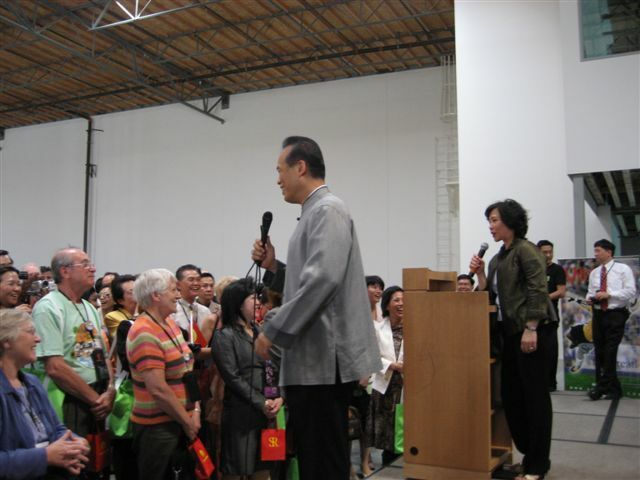 The Chens are investing millions of dollars into the manufacturing plant for upgrades, to keep the company successful for today and tomorrow. 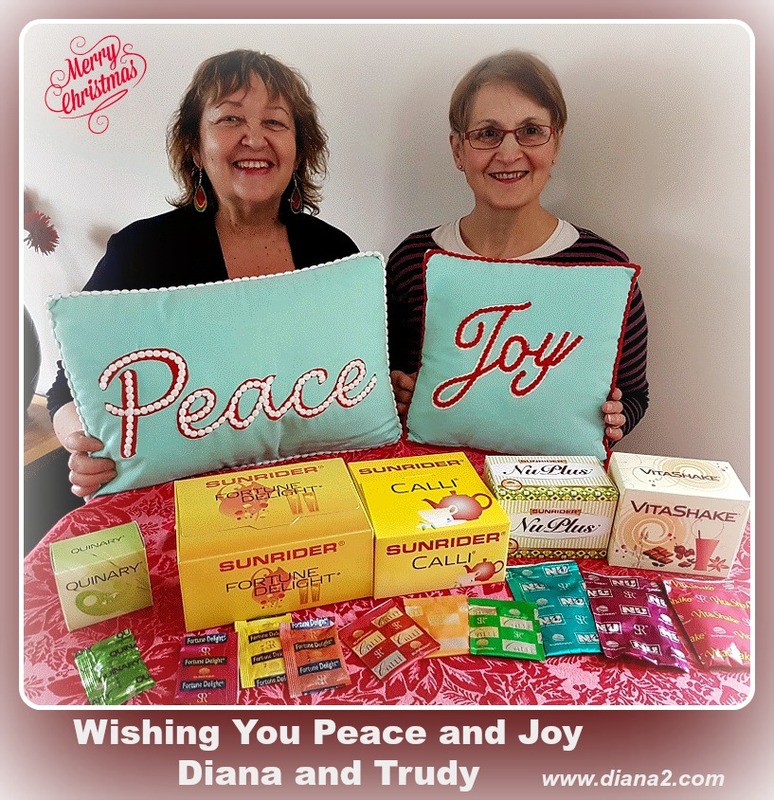 Buy Sunrider Calli Tea and Sunrider Fortune Delight with Diana Walker as your Sunrider nutrition coach and Leader. 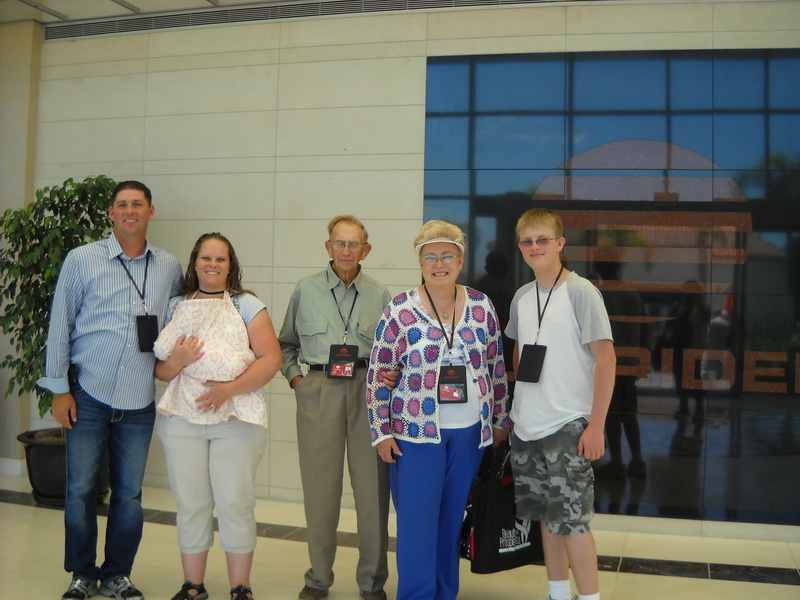 All Sunriders who attend Grand Convention are taken on a tour of the manufacturing facilities, and we got to see the new technology and see the long-term future of Sunrider. 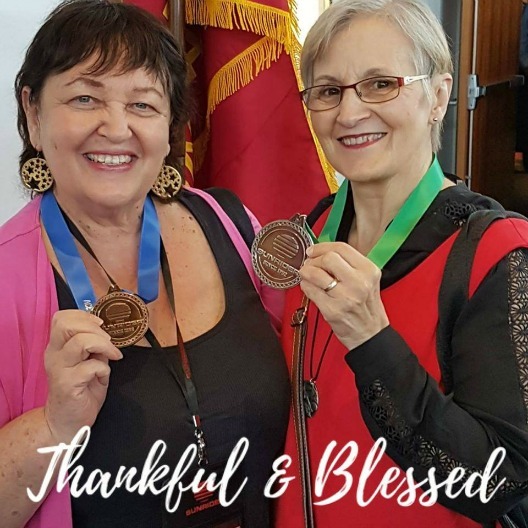 It is always wonderful to be around other Sunriders and health-minded people – what an energetic, positive group of people from around the world! 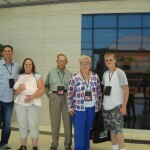 We had so much fun, and it was so great to share this experience with many friends and upline. 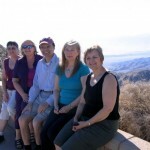 Trudy Stoelting flew from Nova Scotia, Canada, and I flew from British Columbia, Canada. 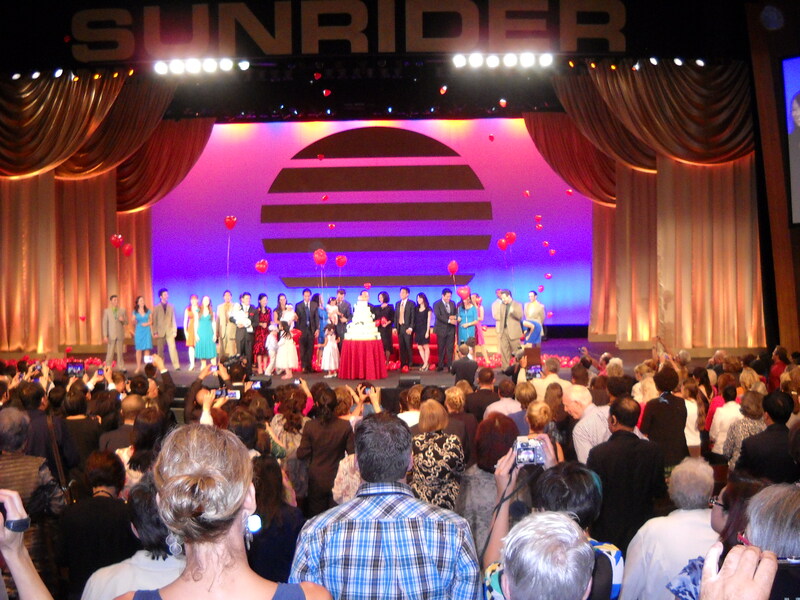 Sunriders attending from Europe, Australia, China, USA, and many other countries around the world. 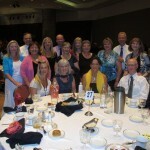 This was my fifteenth Sunrider Convention. I loved it! 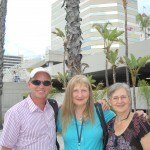 Sunrider Convention 2011 in Long Beach California was outstanding. 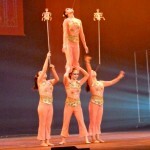 Diana Walker took lots of photos and some videos to share with others. 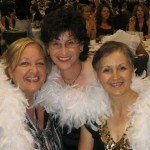 What a lot of fun with friends! 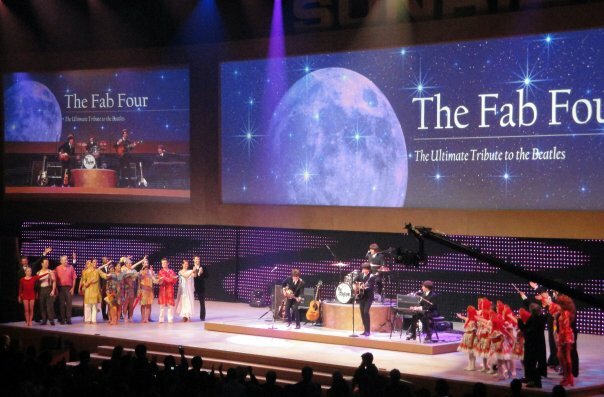 Sunrider is the leading Herbal Whole Food Nutrition Company in the world, and we learned even more about Dr. Tei Fu Chen’s plans for the future of Sunrider! I was so excited to be awarded the #1 Award in Canada. 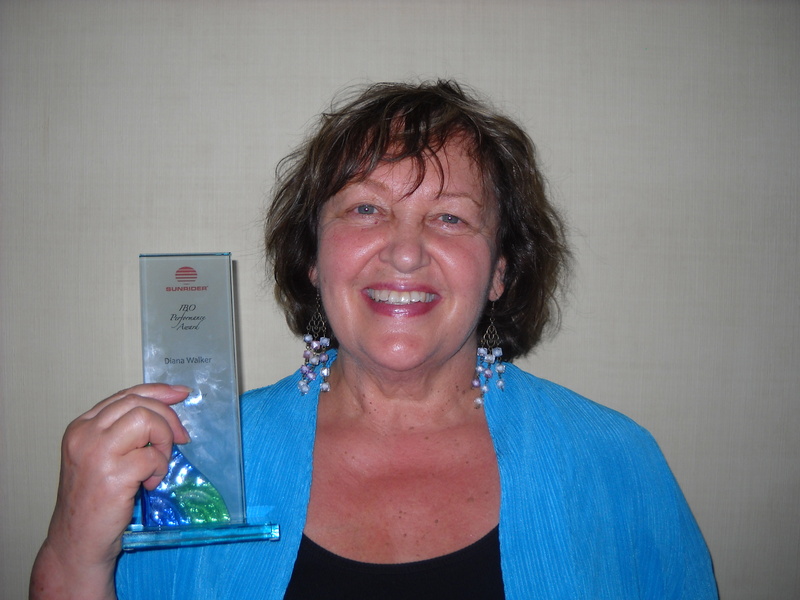 This was the Silver Performance Award and only one person from Canada was awarded this – and it was me! 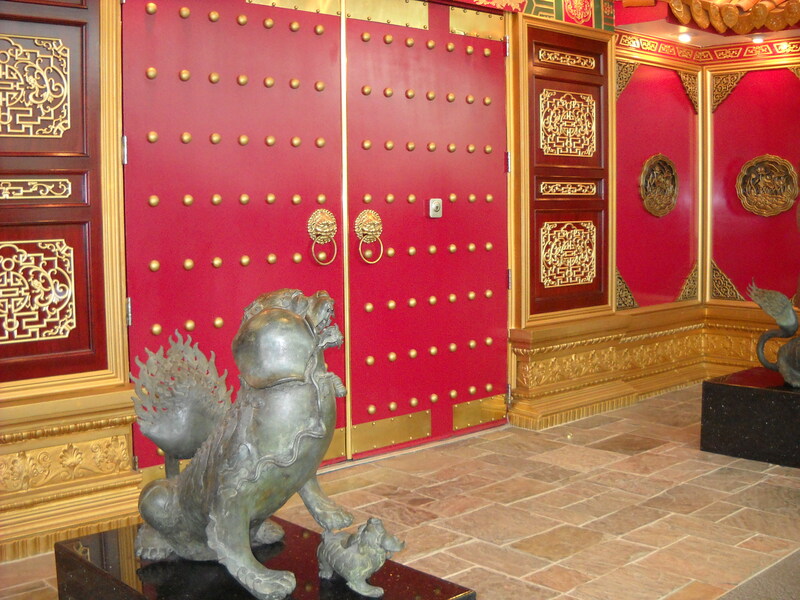 There was only 1 Gold Award – and about 50 Bronze awards worldwide. So it was a real privilege and I feel very grateful. 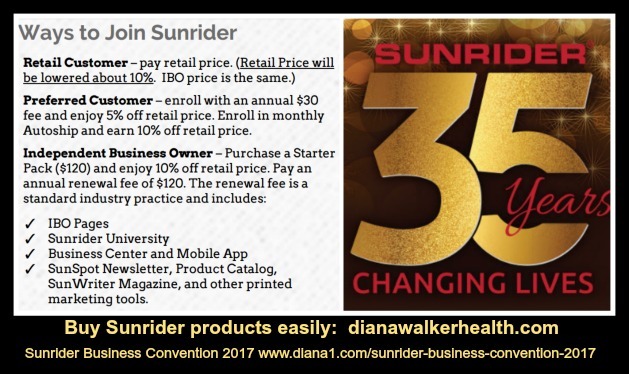 The IBO Performance Award (Independent Business Owner) – Diana Walker Silver Award – for Sunrider International – was awarded to me on Saturday. 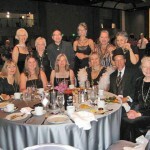 That evening we all attended a delicious banquet and Gala Evening – with live Entertainment, followed by dancing. 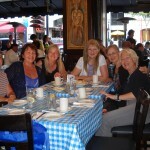 Health minded friends from all over the world. 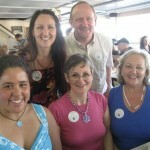 Sunrider Canada was represented by many enthusiastic Sunrider Leaders, many have been my friends for 15 years. 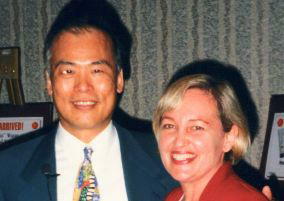 The wonderful lady who shared Sunrider with me in 1996 – Trudy Stoelting – was there, of course. 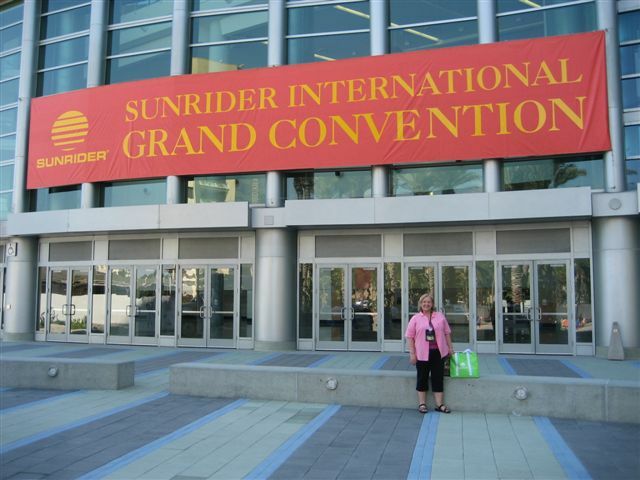 We travelled from Vancouver, Canada, to Long Beach, California, for the 29th Sunrider Grand Convention. 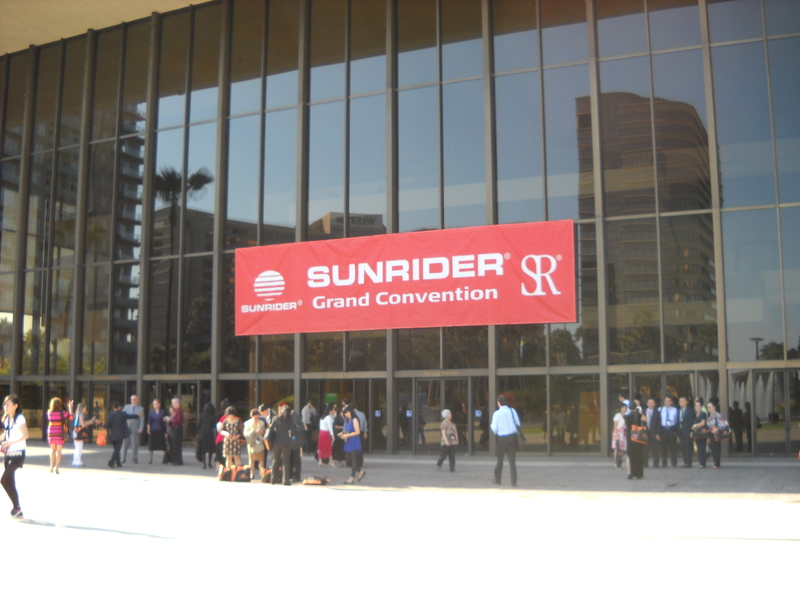 (Next year the 30th Anniversary of Sunrider International will be celebrated in Long Beach). 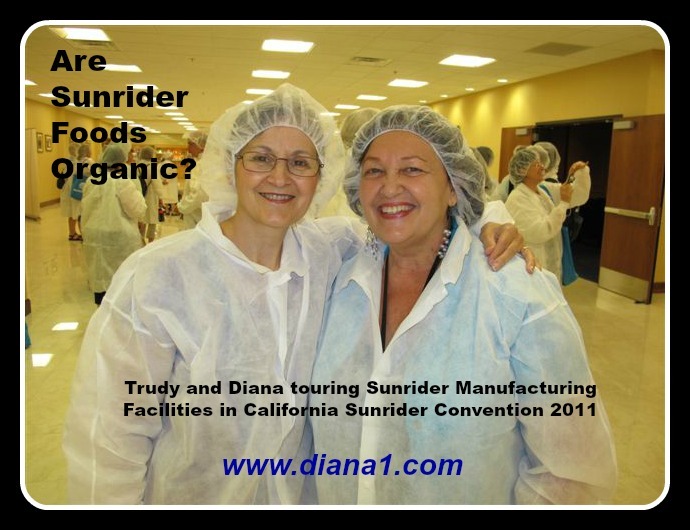 Sunrider Convention is almost here … Diana Walker Photos 2006 to 2011 at Sunrider Conventions…. again! 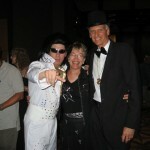 Just a week from now I will be flying to California for the Sunrider Grand Convention July 2011. 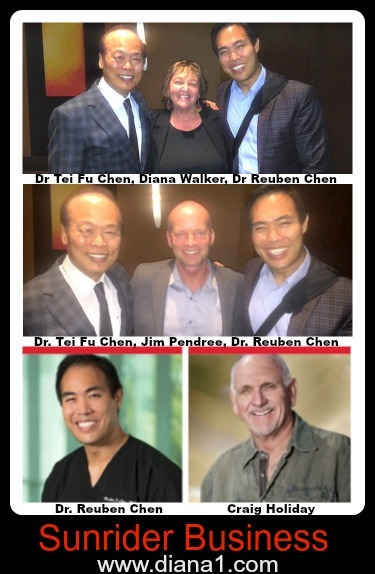 I am looking forward to being with friends from all over the world, health-minded friends who love to eat Sunrider nutrition, eat healthy, have fun, and get together to learn more from Dr. Tei Fu Chen and Dr. Oi Lin Chen at Sunrider Grand Convention. 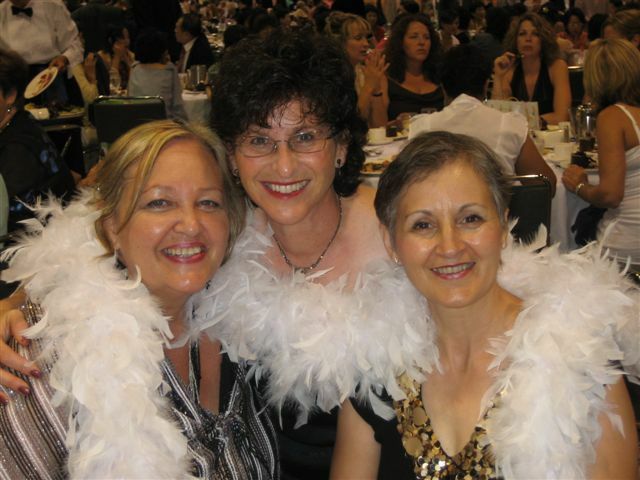 Diana Walker, Trudy Stoelting, and Goldie Denise Caldwell tell our stories here: PARTY WITH SUNRIDER! 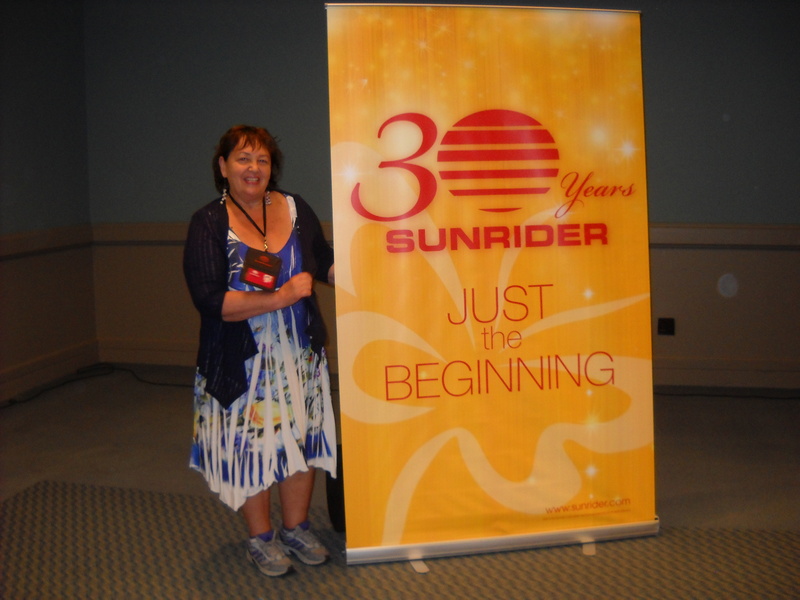 I have put all the “Party With Sunrider” information on one page… We had such a wonderful time with Sunrider International. 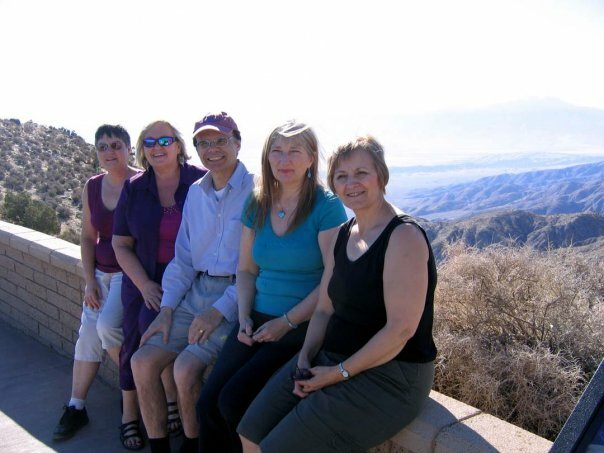 Sunriders from Canada, USA, and all over the world, in California for the 2009 Sunrider Grand Convention, all drinking our Sunrider Calli Tea and Sunrider Fortune Delight! 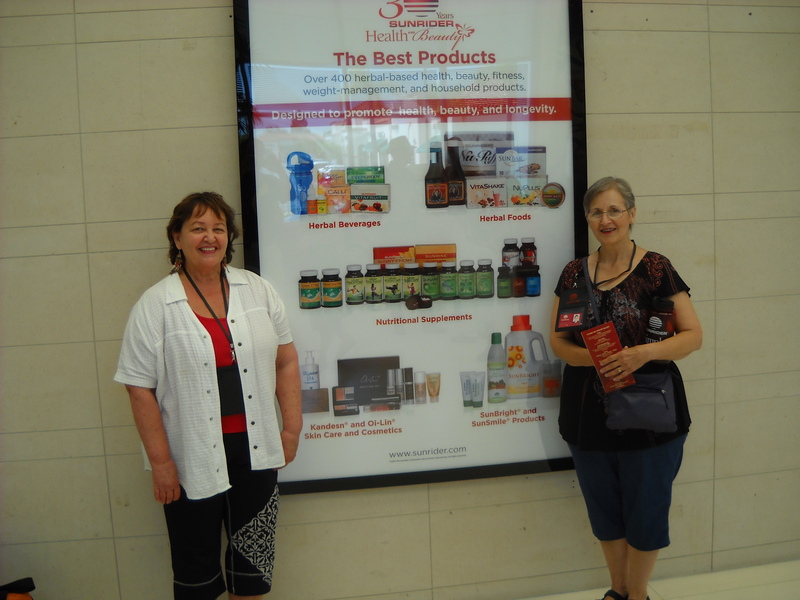 Sunrider Products were highlighted and enjoyed like Tei-Fu Metashaper, Sunrider Calli Tea, Sunrider Fortune Delight, along with many more new products. 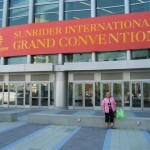 SUNRIDER CONVENTION 2009 AUDIO Diana Walker Sunrider Leader Canada, sponsor in USA and Canada. Calli Tea. 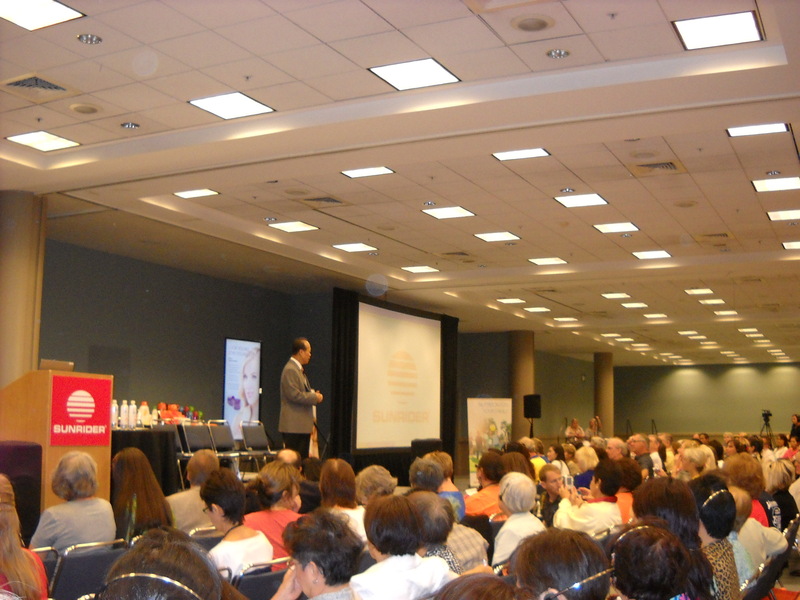 California Convention Highlights. Click on the little arrow over on the left to listen to the audio. Click on the square in the middle to stop the audio. Use the little slider to move along in the audio. Of course, you can download the MP3 and listen on your MP3 player, if you prefer. Audio is 35 minutes long.